I always find writing these things hard because of how many great games I play over any given twelve month period. When I write reviews for games I lean towards being overly critical with certain franchises because they can do better and their fans deserve better, but sometimes I'll either avoid or decline reviewing a certain game because I want to enjoy it as a fan. 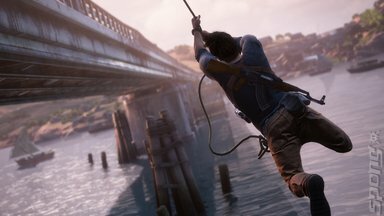 Uncharted 4: A Thief's End, the final chapter of Nathan Drake's story took an already tried and true Naughty Dog formula and cranked everything up to 11. The story was amazing and provided both the beginning and a true ending for Nate. It managed to humanise Nathan in a way the elevates him above any normal action hero and it managed to show him as an actual human being, brilliant and flawed just like the rest of us... Sure, his physical prowess is far and beyond the capabilities of us flesh and blood sorts, but his interactions with Elena? His attempt at leasing a normal life complete with a normal job? Somehow they managed to make these things fit together perfectly with the action and mystery. Visually there is no other game out there that can compare. 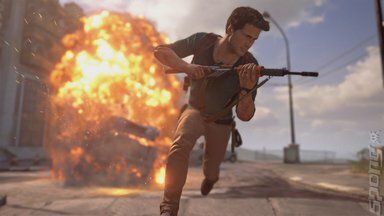 Naughty Dog excels at wringing the most out of a piece of hardware and making anything they create feel solid and look leaps and bounds better than the competition. The gameplay is probably the least changed and that was a problem for some people. For me, though, it just meant that I was instantly at home, I understood the rules of engagement in combat and platforming felt smooth and right - in short it felt like an old comfortable pair of trainers, well broken in and familiar. All of the tweaks and improvements from the grapple hook to the stealth were the equivalent of new laces holding those comfortable trainers snug to feet already well used to their feel. Now Naughty Dog is free to move on, although we've got the standalone spin-off Uncharted: The Lost Legacy starring Chloe and Nadine coming soon (which looks phenomenal) and The Last of Us Part II, which is something I didn't think I needed until I saw the trailer. 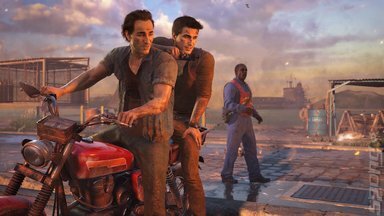 Coming to the end of writing this I realise that I haven't played through the whole quadrilogy in order yet and that is something I now feel compelled to do, because not only is Uncharted 4 my GoTY 2016, the franchise as a whole comes fairly close to my all-time favourite top spot. Hard to believe I picked up the original Uncharted out of boredom and because it was cheap at the time, Sic Parvis Magna indeed Naughty Dog. 2017 has a hell of a lot of promise for us gamers and I look forward to struggling to write this again in another twelve months.